Summit Center Blog articles by Summit Center professionals. Did you know that bright people often exhibit social or emotional challenges, such as unusual sensitivity, intensity, or anxiety? Summit Center offers a variety of services to help, including discussion groups led by one of our experienced professionals. Groups for parents or gifted adults allow participants to share concerns and gain support from others who have similar experiences. SENG-Model Parent Support Group, for parents of gifted or twice-exceptional children, in TORRANCE on Tuesdays, starting February 25, led by Dr. Lisa Hancock, a SENG certified master facilitator. Guided discussion will focus on the social and emotional needs of gifted and twice-exceptional children, and the parenting issues related to those needs. Topics include: Identification/Characteristics, Intensity/Perfectionism/Stress, Familial Relationships, Friends/Peers, Communication, Idealism/Depression, Motivation/Underachievement, Tradition Breaking, Discipline, and Advocacy. Groups meet in the mornings at 10 am or evenings at 6 pm. Course meetings are weekly: Feb. 26, Mar. 5, Mar. 12, Mar. 19, Mar. 26. More information and link to register at https://conta.cc/2MrGgDf. Virtual Advanced Parent Discussion Group For Parents of Gifted and 2e Children, facilitated by Kathleen Crombie, M.A., M.Ed., meets through the Zoom video platform on Tuesday afternoons, 1:00pm-2:30pm (Pacific time) beginning February 25. Recommended for past participants of an introductory SENG Model Discussion Group, or those who have read A Parents Guide to Gifted Children by Dr. James Webb, et al. Course meetings are generally the first Tuesday of the month. Meeting dates are: Mar. 5, Apr. 2, May 7, and June 4. $240 per person for 4 sessions. More information at https://conta.cc/2T0Ki82. Pro-rated space may be available, please email Kathleen. Recordings are available of these unique presentations from Summit Center professionals, talking about issues affecting your life and your family. Each webinar costs $40, or $30 if you purchase two or more (use discount code “multi”). Price includes unlimited viewing of the recording online. Supporting Smart Girls – Webinar with Dr. Lisa White (recording). Smart girls in today’s culture experience a lot of ups and downs. In this one-hour webinar, Summit Center’s Dr. Lisa White, licensed psychologist, discusses the difficulty of being a smart girl, cool things about being a smart girl, the (sometimes unrealistic) expectations that bright girls face, trouble with fitting in at school and with peers, portrayals in the media, and what parents and schools can do to help. For parents of girls ages 6-16. Lisa White, Ph.D., provides comprehensive psychoeducational and neuropsychological evaluations and consultations with families and teachers. She has been working with gifted children and families since 2003. Time Management Skills for Your Child – Webinar with Deanna Kim (recording). Does your child seem unaware of passing time and often lose track of time? Is your child overwhelmed, sleep deprived, or chronically late to school as a result of poor time management? Research shows that our brain rewires itself based on how we use it. Then, how can we help our kids develop a daily and weekly habit of being intentional with their time? This one-hour webinar will address the complexity of time management and the associated brain skills for youngster’s brains. Summit Center educational therapist Deanna Kim will also explore strategies to nurture our conversations with our children on time awareness and make time more visible. Join us on this journey to foster a lifelong skill so that your child can thrive in school and beyond. Deanna Kim, M.Ed., provides educational therapy for executive functioning and math at Summit Center Walnut Creek. She coaches students in executive functioning to improve T.O.P. skills (Time Management, Organization, and Planning). For math support, Deanna uses Making Math Real methodology and integrates interactive games and a whiteboard to assess, personalize, and reinforce the needs of each student. Prior to joining Summit Center, she was a learning specialist at the Ann Martin Center and Valley Montessori School. 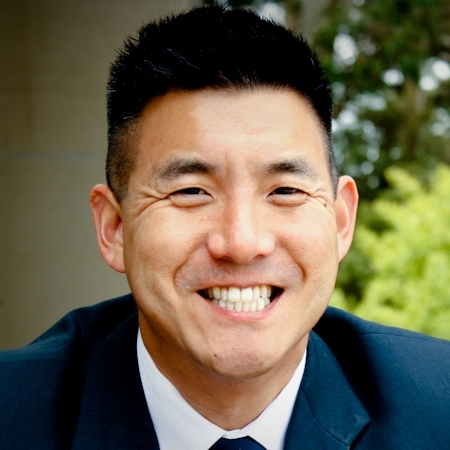 Psychosocial Development of Gifted Children – Webinar with Dr. Stephen Chou (recording). The growth and development of gifted children is a wondrous process. Incorporating concepts within the field of giftedness (such as precocity, asynchronous development, and overexcitabilities), this webinar will help parents understand their child’s social and emotional development. Parents will also learn how to help their child navigate through potential emotional difficulties and overcome limitations. Stephen H. Chou, Psy.D. 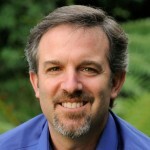 is a licensed clinical psychologist at the Summit Center and at his private practice in Millbrae, CA. 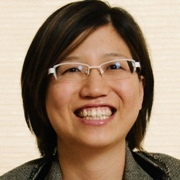 Dr. Chou leads Summit Center’s doctoral training program and is an adjunct professor with the Alliant International University – California School of Professional Psychology. He has specialties in Family/Child and Multicultural/Community counseling and psychological assessment, especially within the field of giftedness. NOTE: Webinar registration does not currently work on the Safari browser. Please use Internet Explorer, Chrome, Firefox, or Opera to register. Email update@summitcenter.us if you have a problem. Math Difficulties: Reasons and Remedies – Webinar with Dr. Nancy Knop (recording). Why do students have difficulty with school math? How can parents, teachers, and students themselves get past difficulty and into success? Summit Center Educational Therapist Nancy Knop, Ph.D, ET/P, presents potential reasons for difficulty, including Developmental dyscalculia, Perception and processing issues, Foundation gaps, and Math anxiety. These interact to make difficulty more confusing to sort out. If foundation gaps and math anxiety are the only problems, it is easier to remediate – and the sooner, the better. Perception/processing and neurodevelopmental issues need to be assessed and identified to be remedied, and either or both of these also lead to foundation gaps and math anxiety. In this webinar, Dr. Knop will address all four areas and talk about specific steps to take to move from math difficulty to confidence and competence in school math and in math for life. This information will help students help themselves and advocate for support, it will help parents communicate with kids and teachers, and it will help teachers understand how to help students who struggle with math. Dr. Nancy Knop E.T./P, was an Educational Therapist for over ten years. In addition, she previously taught science for 23 years to grades 7-12 at Head Royce and served as Department Chair. She speaks on topics related to the brain and learning at conferences, school professional development sessions, and to parents and students across the country. 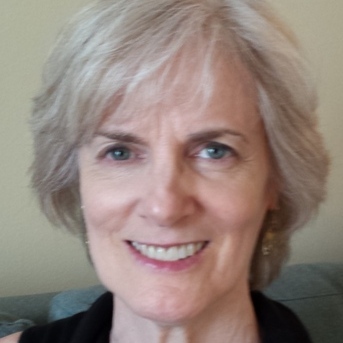 Supporting the Spiritual Lives of Gifted Children – Webinar with Dr. Paula Wilkes (recording). Does your child have profound empathy? Is your child highly attuned to nature? Does your child express feeling a transcendent presence? Are you looking for strategies to support your child’s spiritual development? Spiritual sensitivity is experienced by gifted people from diverse cultures and religions and can be characterized by profound empathy and exceptional emotional depth, intuitive insight, and strong connections to the natural world. It often causes gifted children and adults, to be misunderstood (and misdiagnosed) by others. Join Dr. Paula Wilkes for this webinar to learn the characteristics of “spiritual sensitivity” and resources for nourishing the minds, hearts, and bodies of these exquisitely sensitive people. Dr. Paula Wilkes is a Gifted Education Consultant at the Summit Center in Los Angeles, where she provides counseling and consultation for parents and students on gifted and “twice-exceptional” issues (including sensitivity and intensity). Dr. Wilkes is available for consultations about spiritual sensitivity by Skype outside of the Los Angeles area. 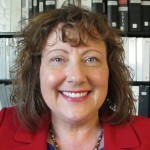 Previously, Dr. Wilkes created and coordinated the Center for Gifted Education at Pacific University in Eugene, Oregon and taught in public schools. I can take care of myself! How come you didn’t wake me up? Navigating the Parent-Teen Relationship – Webinar with Dr. Dan Peters (recording). Wondering what happened to your child? Remember those days when everything you said wasn’t seen as annoying? Are you questioning your effectiveness as a parent? These are common questions and experiences of those parenting a teen. Try not to take it personally. Your teens actually aren’t thinking about you, they are focused on themselves – and it is developmentally appropriate (though frustrating). This webinar will discuss the multiple developmental challenges your teen is facing, the current technology culture that makes the growing up and parenting role more complex, and ways to relate to your teen in ways that increase positive interactions and decrease conflict. And remember, adolescence is fortunately a temporary condition. Dan Peters, Ph.D., is an author and licensed psychologist who has devoted his career to helping children, adolescents and families engage in life so that they can realize their full potential. Dr. Peters is co-founder and Executive Director of the Summit Center in California, where he is available for consultation. NOTE: Webinar registration does not currently work on the Safari browser. Please use Internet Explorer, Chrome, Firefox, or Opera to register. Living With Intensity: Understanding the the Gifted Child – Webinar with Dr. Susan Daniels (recording). Dr. Susan Daniels is co-founder and Educational Director of Summit Center as well as Professor of Educational Psychology and Counseling at California State University – San Bernardino. Dr. Daniels is an internationally recognized expert in the field of gifted education and co-author of “Living with Intensity” (Great Potential Press, 2008). Organizing Chaos: Solutions for Everyday Life in A Gifted Family – Webinar with Kathleen Crombie (recording). Living in a gifted family can be chaotic. Overwhelmed with schedule and time management? Exhausted trying to keep everything and everyone on track? Frazzled when you can’t find what you need? We will explore which organizing methods increase emotional connection and functioning within the gifted family. Kathleen Crombie, M.A., M.Ed., provides Therapeutic Organizing™ and consultation services for gifted adults, children and families at Summit Center. Ms. Crombie also offers “Overwhelmed by Life Clutter” workshops and support groups for gifted adults and families in the Chicago area and virtually.